Today I read the statement “8 hours labor, 8 hours recreation, 8 hours rest.” And for the first time I realized how unlikely this is to happen in most of our daily lives. How many of us “work” more than 8 hours, even if we truly spend only 8 hours at our official job, there’s always laundry, dishes, cooking, etc at home. The more time we spend “laboring” we lose time for rest or recreation. So how do we fix this balance? How do we truly spend a third of our time working on enjoying ourselves, or improving ourselves, and bettering our lives. How do we leave work at work, and not bring it home? And for those of you with kids, how do you find a full 8 hours during the day for true “rest”? The biggest thing I can suggest is – take time for yourself when it’s offered. Take your lunch break at work – spend that time doing something you love. Whether you eat outside in the sunshine, or read a book while you munch. Find time to exercise most days of the week – even if it’s 30 minutes in the morning before work, or a quick walk with the dog in the evening. If exercise is a priority it will not only improve your way of life, but it will provide fresh air (maybe) and time to clear your mind. When you DO have free time, use it in ways other than sitting on the couch, watching tv, or just stressing about other things that need to be done. Volunteer your time – this is the best way to get back much more than you put in time-wise. Socialize. Yes, I know after a long day at work you just want to put your feet up, take off your bra (all you ladies out there know what I mean), and veg out. But, spend this time socializing! Don’t turn down friends offers to grab a drink, or happy hour after work. Don’t turn down a spouse or significant other for a dinner date because you’re “too tired”. You rarely regret spending time with friends and socializing. But most importantly, you need to do what makes you happy. In the end, it doesn’t matter how other people feel, whether they’re disappointed or happy. 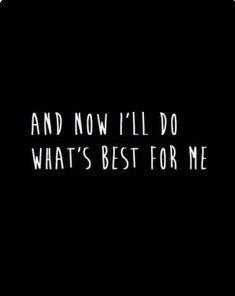 You always have to remember to do what’s best for you at the time, and take care of yourself. I agree completely about yoga! I’m about to start a new job that means working 3 days a week, but 12 hour shifts. That sure cuts down on “me” time those 3 days, but it leaves 4 days a week wide open! !